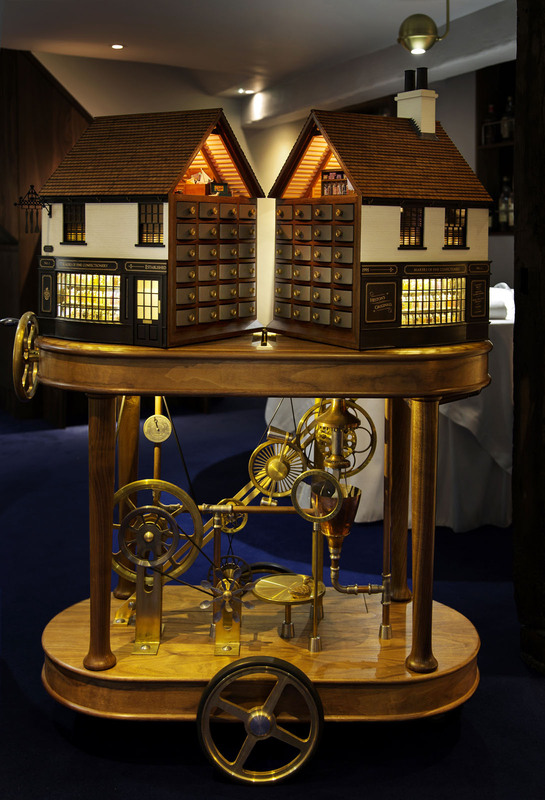 Heston Blumenthal is famous for creating multi-sensory dining experiences. 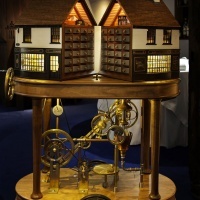 Dishes on the set menu at The Fat Duck – his three Michelin starred restaurant in Berkshire – include an Alice in Wonderland-themed Mock Turtle Soup and a seafood course served on tapioca ‘sand’ alongside an audio recording of crashing waves. 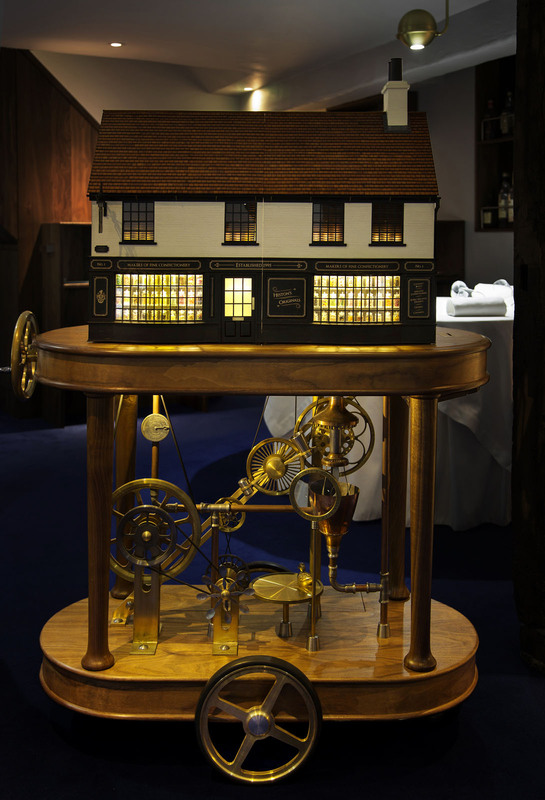 Design agency Seymourpowell recently collaborated with Blumenthal and The Fat Duck’s confectionery chefs to create an intricate mechanical sweet shop that dispenses the restaurant’s final course – a selection of petit fours. 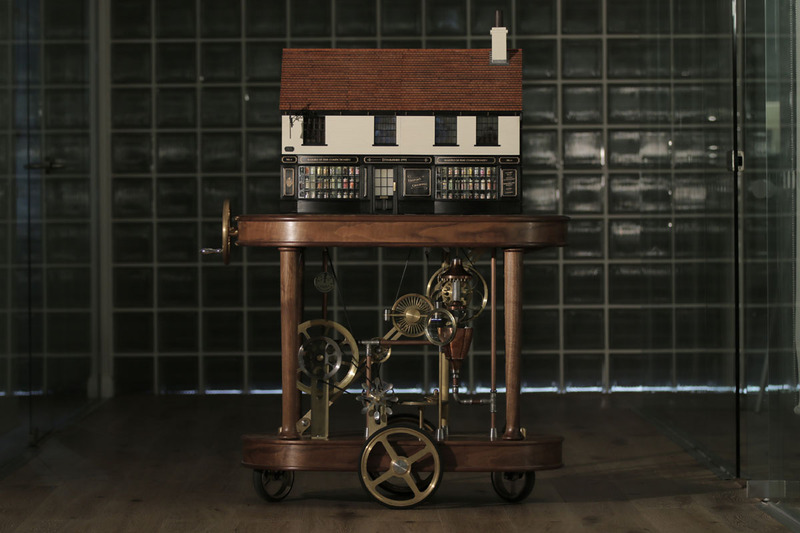 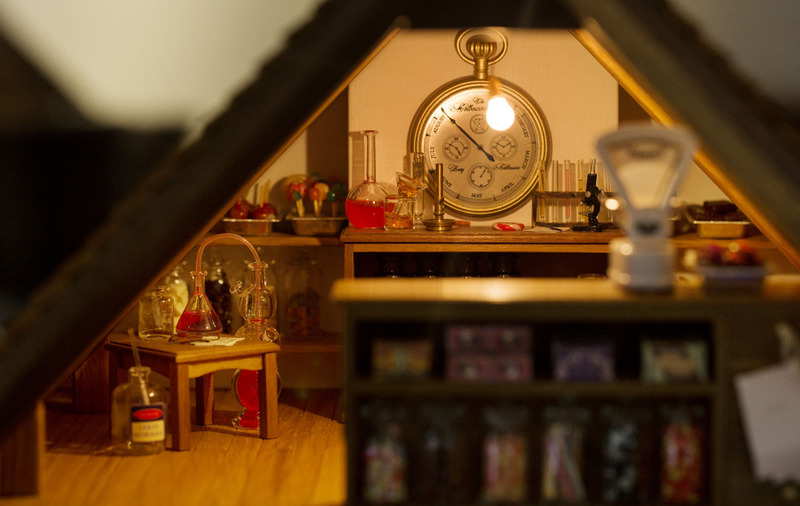 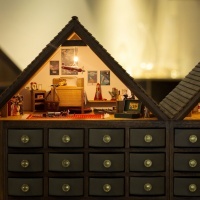 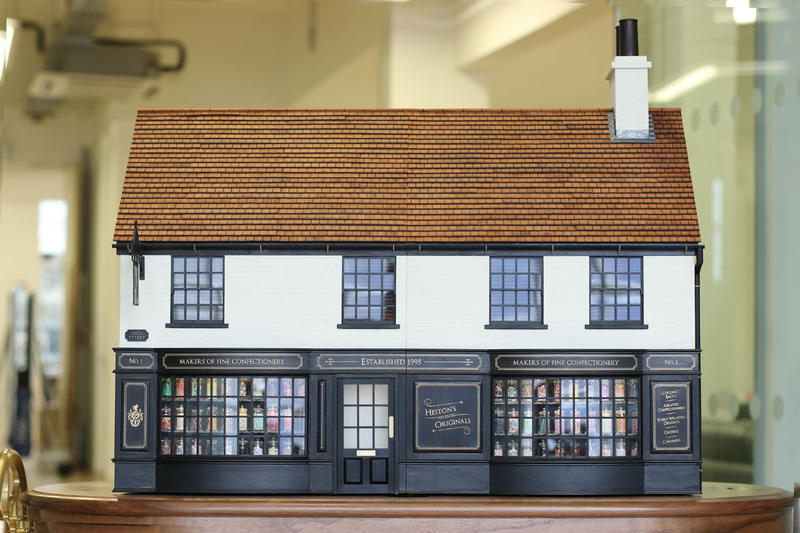 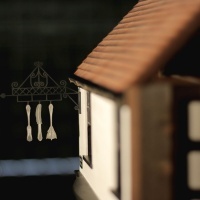 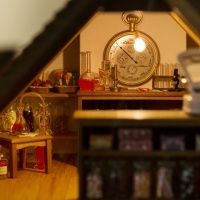 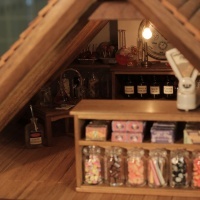 The agency worked with cabinet maker Mark Heeler to create a scaled model of a Victorian sweet shop atop a wooden trolley kitted out with metal cogs and gears. 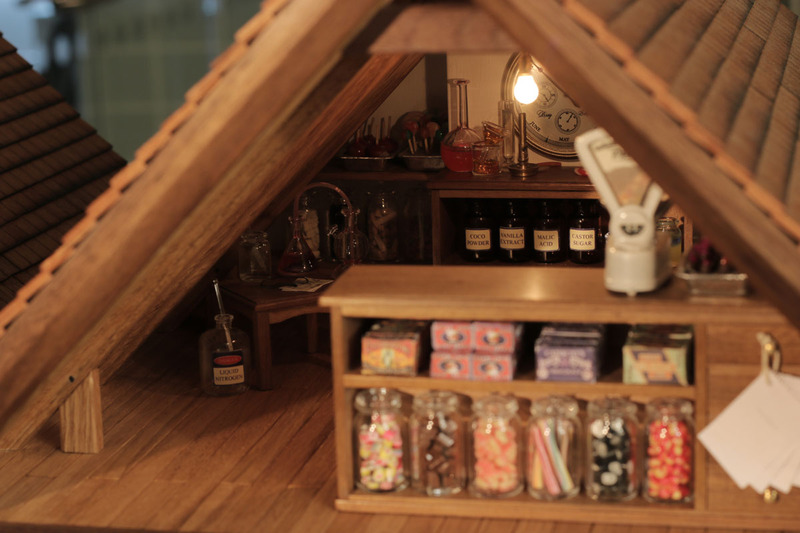 The shop’s exterior features traditional signage and windows housing rows of miniature sweet jars. 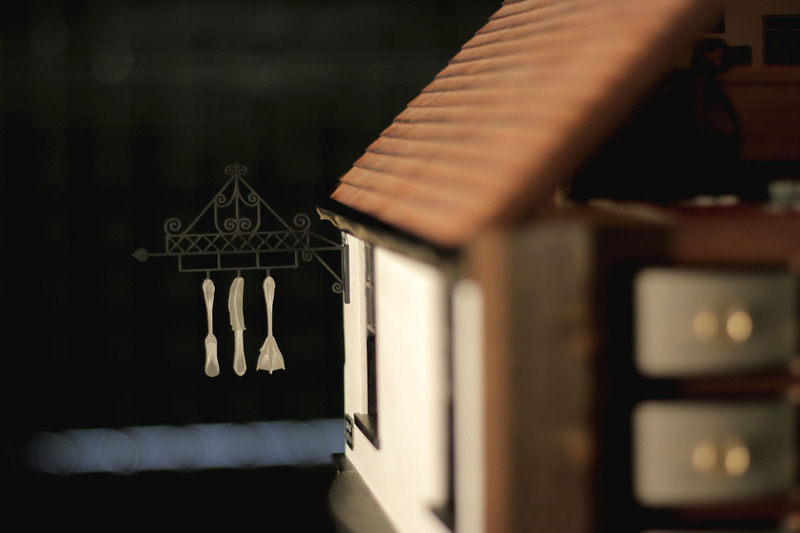 Smoke billows from the tiny chimney while lights flicker in the windows upstairs. 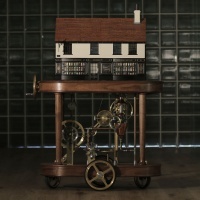 Turning a brass handle on the side of the trolley causes gears to spin and the shop to open up, revealing 48 drawers and two detailed attic scenes: a sweet shop laboratory filled with scientific apparatus and a model of Blumenthal’s childhood bedroom complete with posters, a train set and a model plane hanging from the ceiling. 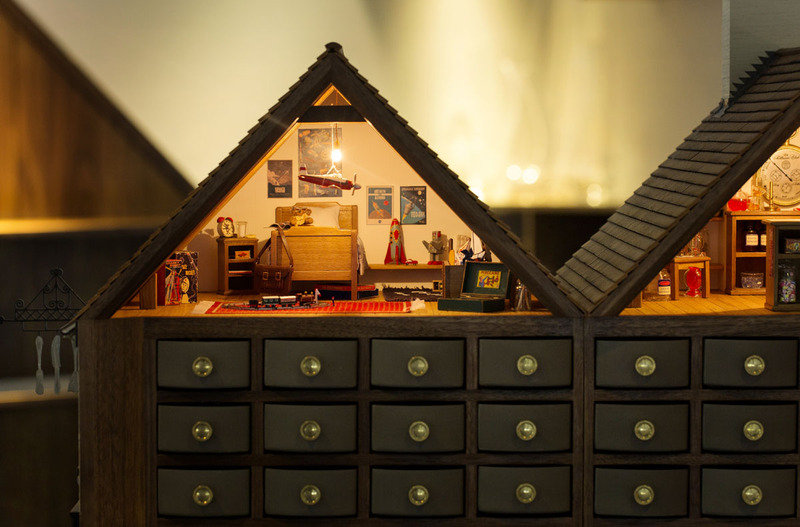 Diners are asked to insert a coin given to them in an earlier course which causes drawers to open and close before a final drawer dispenses their dessert. 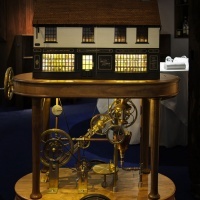 The design also combines old-fashioned craft with digital technology. 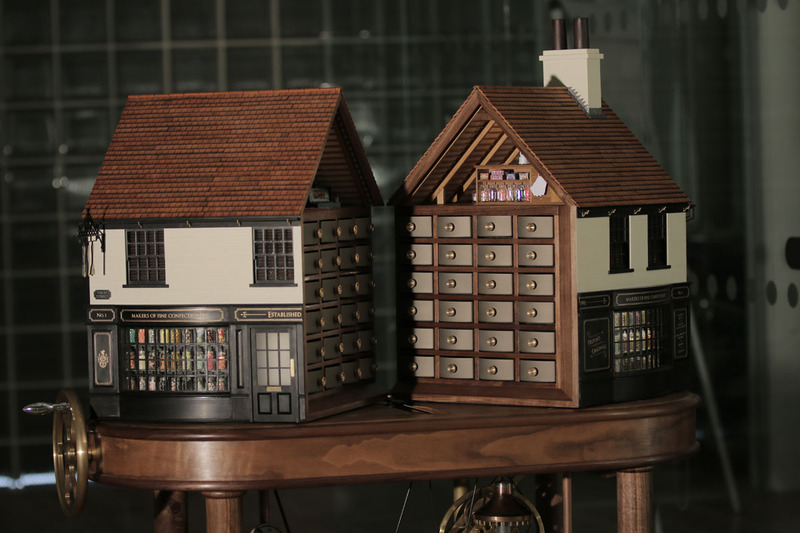 Each drawer has an individual mechanism made up of motors and magnets and an algorithm can be used to create random or pre-programmed sequences of drawers opening and closing. 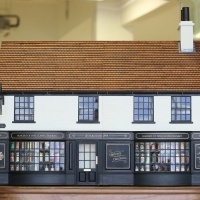 A reader inside the sweet shop scans diners’ coins to ensure they are presented with the correct dessert.